Much has been written about colored pants and what’s more even men seem to have caught on the trend. Have you seen the pink pants on Akshay Kumar yet? Not wanting to be left behind, I put together a couple of looks with this hot red pair that I had picked up about 6 months back from a boutique in Bhopal. (Yes, Bhopal! psst: it was a kids store: p – the things petite people have to do! :p). I tried to spruce up a boring black and red combination with some accessories and a shrug. 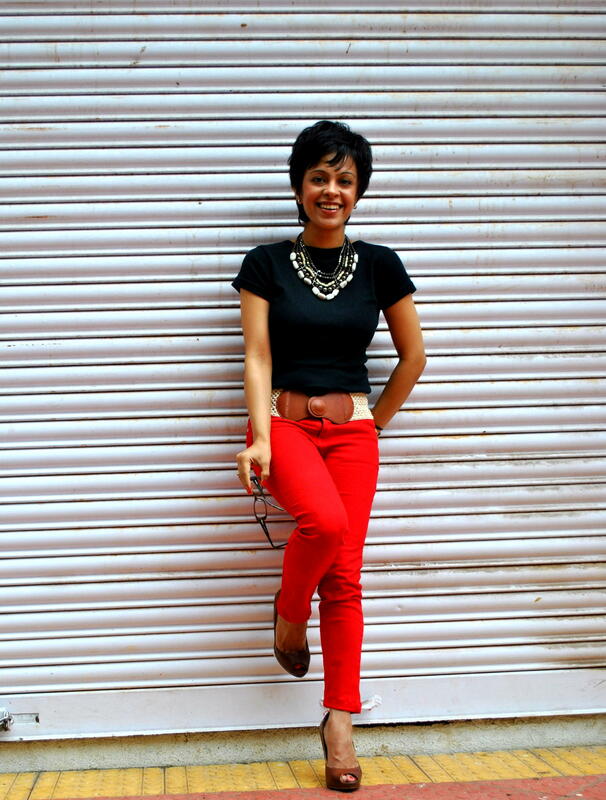 Don’t miss our list of ideas on how you could experiment with colored pants. 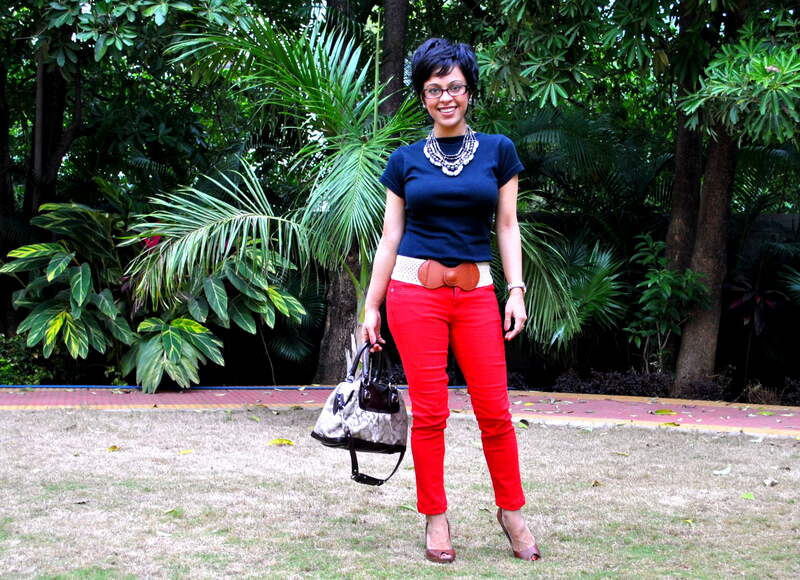 I paired it with a crochet belt & the neckpiece I had blogged about in my post Weedkend’s Loot. Find this a little too heavy for your liking? Maybe you could try what I did for a more casual ‘coffee with friends’ kind of a look. I ditched the neck piece and belt and put on a shrug to change the look completely. I slipped on a pair of wedges, so I can comfortably stroll around before I head to catch up with the ladies. 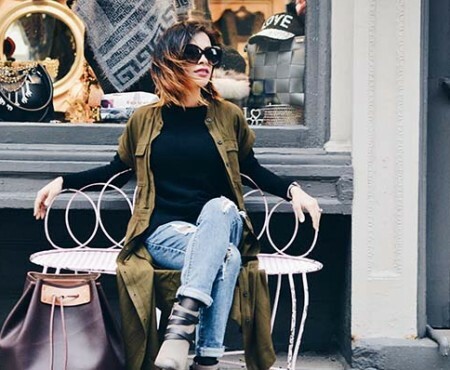 Slung my new favorite Kenneth Cole to complete my look! Do you have any tried and tested colored pants combinations? Share your pictures and ideas with us on our Facebook page and get rowdy! Black or White: you can never go wrong with a black or white top / tee / gunjee. 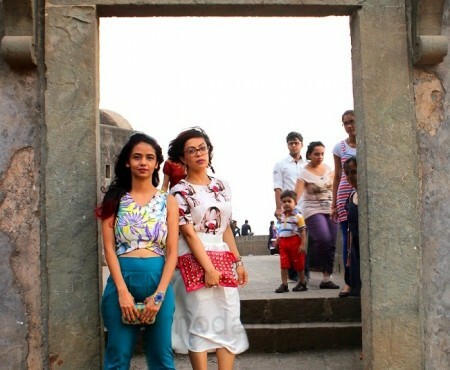 Go for a frilly/feminine top is you are going dressy and a gunjee for chai with your friends. Color Blocking: This can be tricky, but you must experiment like I did here. 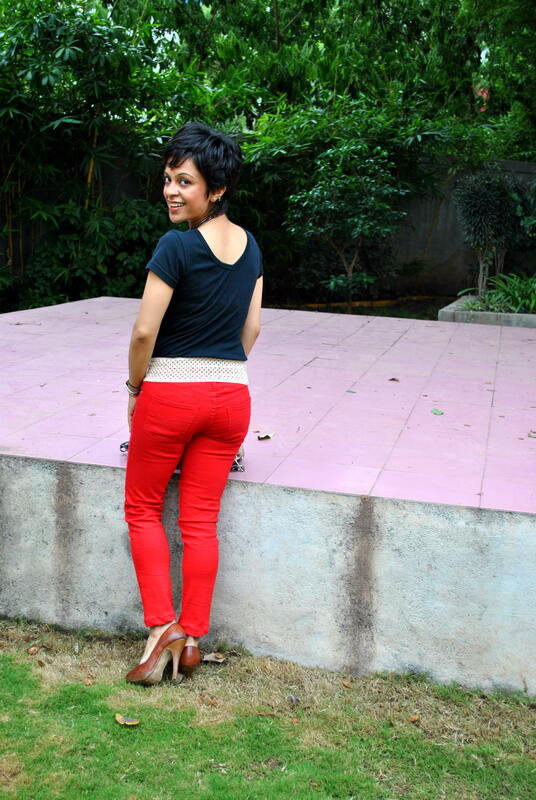 You could add sunshine to someones day by pairing a peach pant with a yellow tee or violet/purple gunjee. Play with Prints: Tees with graphic designs like Sneaky did while we celebrated the love. Are you inspired to experiment? You could buy these depending on how much you want to spend from the small boutiques in Bandra, Mumbai & Koregaon Park, Pune ( INR 600 onwards), Vero Moda (I got MINT Green in the sale at 50% for approx INR 800), MANGO (INR 2000 +)- they also sell online now. ZARA has interesting printed / color pants as well as jeans. FreeCultr is worth a try too along with GAP who now ships to India. Bidisha you must dare 🙂 You could try linen trousers in color instead of skinny pants if you are on the heavier side. They will work casually as well as formally. If you do plan on jeggings/skinnys’/cigarette pants, remember to layer with a blazer or shawl jacket to avoid attn to problem areas. Also long shirts in pastel shades will look great. Do send us pictures if you do end up trying!